As regular readers will know, Sophie Black and I have raised over £2,000 for Stop/Eject through crowd-funding, and we’re doing some filmmaking lectures soon which will serve as fundraising events to increase that budget. (Don’t forget the Hereford one is next week, Tuesday, 7pm at The Rural Media Company.) 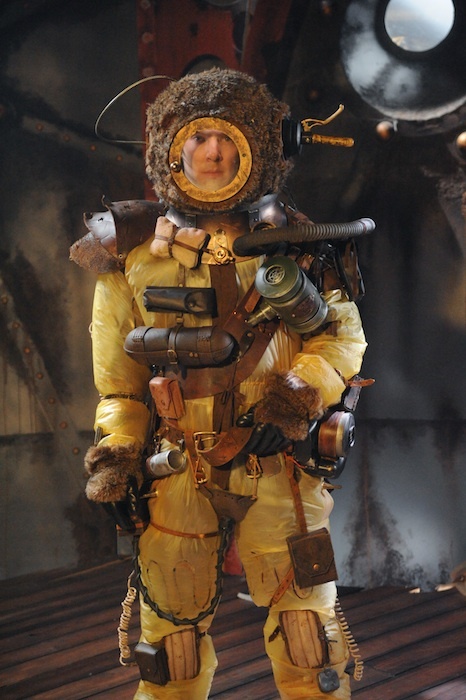 The third and final piece of the fundraising puzzle is the sale of the “germ suit” worn by Benedict Cumberbatch in the pilot for my in-development fantasy film, The Dark Side of the Earth. Benedict was playing Maximillian Clarke, a paranoid hypochondriac who’s so afraid of germs that he lives inside a sealed suit that filters all the bacteria out of his air and food. Isabelle Vincey, the heroine, finds him surviving in an igloo on the Dark Side of the Earth and he joins her on her quest to start the world turning again. 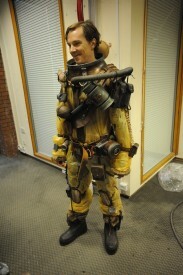 Since that shoot, in December 2008, the suit has been in a box in my loft. I always hoped one day I would live somewhere with enough space to display it on a mannequin, but there wasn’t much chance of that in the foreseeable future, so this year I figured it was time to trade it in for some filmmaking cash. If The Dark Side of the Earth ever gets off the ground, we can always build another one – an even better one. 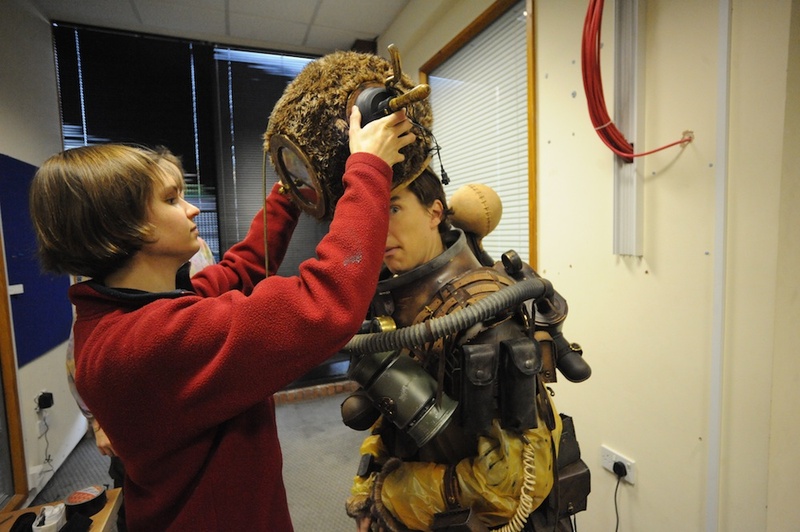 Originally I planned to sell the suit on eBay, promoting the auction to Benedict fan sites and the like, but then Sophie put me in touch with David Bidwell, owner of The Monster Company. 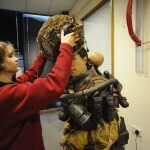 This Nottingham-based company sells movie props and memorabilia. David was excited when I told him about the suit and Dark Side in general, and this morning he paid me a visit to check out the suit and watch the pilot. He loved the pilot so much he asked to watch it a second time. He went away with the suit tucked under his arm (alright, draped over his arm and with me following carrying a couple of boxes with the rest of it in) and the Stop/Eject budget looking a little healthier. Additional: Here’s an interesting article on The Benedict Cumberbatch Situation, which suggests he’s getting quite a following on the other side of the pond.